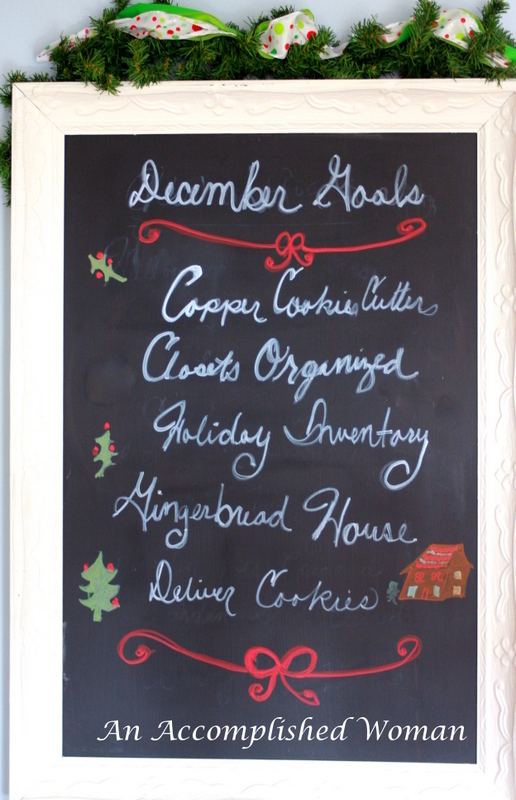 As you know I am very goal oriented, and each month I post my goals to the chalkboard in my kitchen. In the last three months, my chalkboard has been decorated to be not only inspirational but also artistic. I think your chalkboard is cute and smart. Posting your goals really helps keep them in focus. 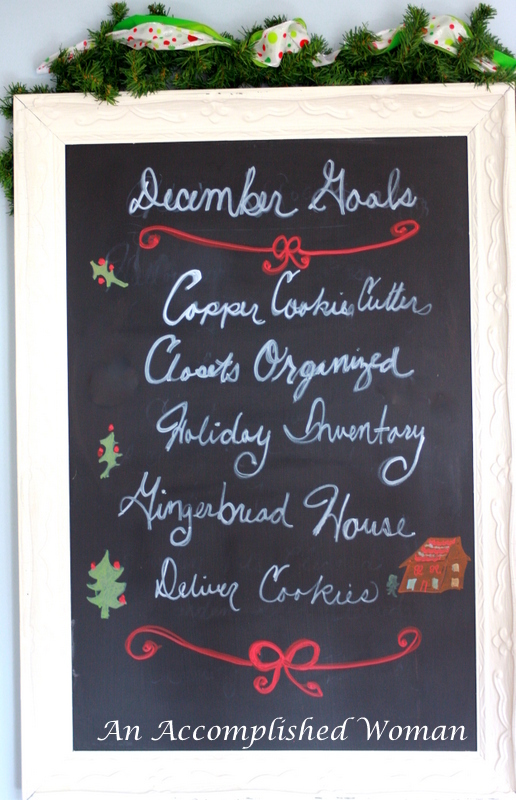 Don't you love all the chalkboard art that people are doing these days? I made a chalkboard for my laundry room and have been putting fun or inspirational quotes on it.